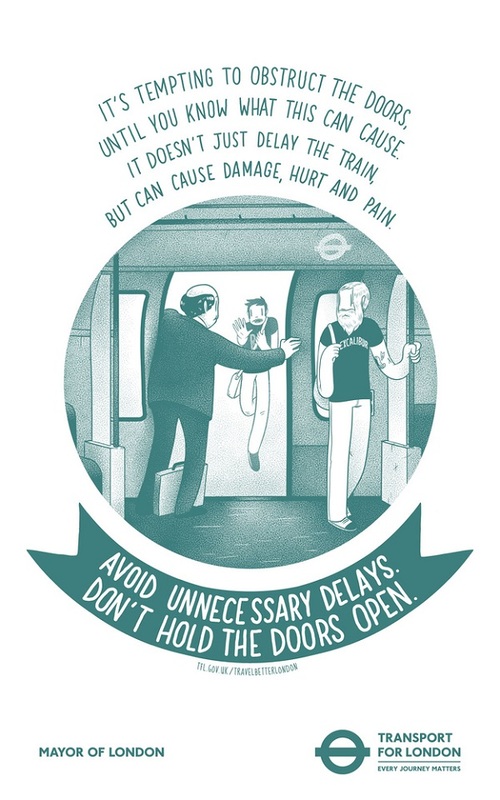 To encourage better subway etiquette on the Tube, Transport For London launched ‘Travel Better London’, an initiative where poetry will be used to promote good subway manners. 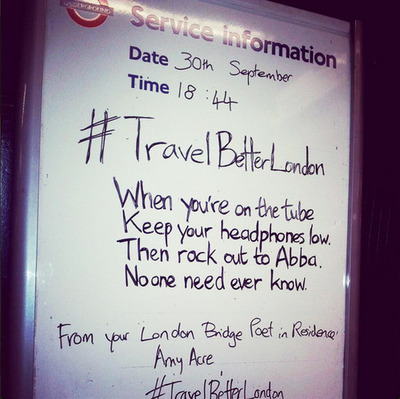 With the help of London poets, pop-up performances will be staged at nine major Tube stations. The poets will be highlighting the bad habits (in the form of poems) that will spoil a person’s journey. 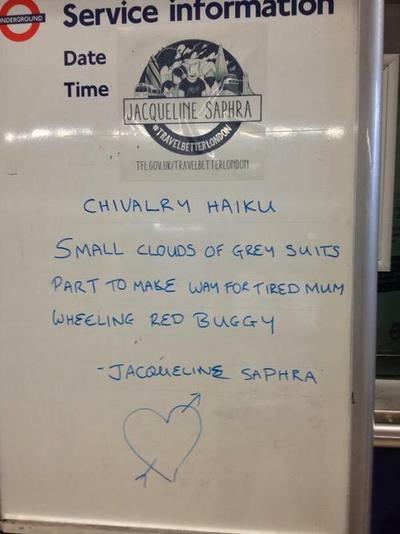 Members of the public are also encouraged to submit their own poems to the campaign’s Tumblr site. 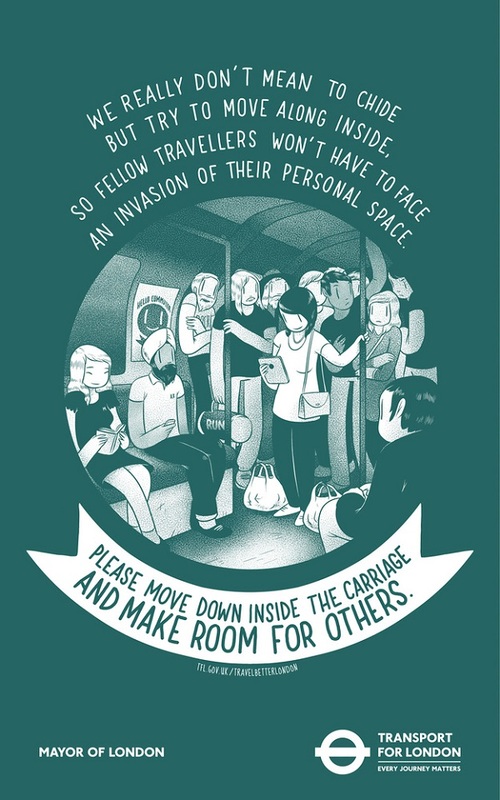 The winning poem will be made into a poster and be featured around London’s transport network. This project was staged to coincide with National Poetry Day in England. It will run until 4 October 2013.